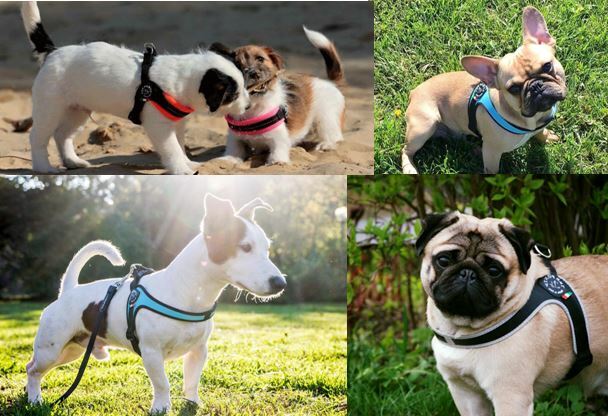 Ergonomic dog harness, the Adjustable Fibbia has an adjustable canvas strap across the chest. Handmade in Italy. The different styles that are available in the adjustable Fibbia, you can see here.